In the midst of all the cookie recipes out there, I found this little gem and wanted to share it with you. These Rolo cookies are not just lovely to look at, but have a surprise center of ooey gooey chocolate and caramel. 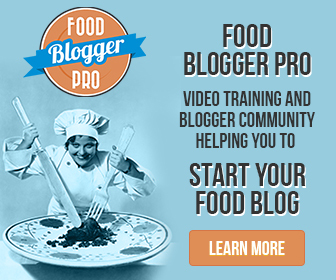 The recipe I’m sharing would be great for the holidays, (it makes 50+ cookies!) 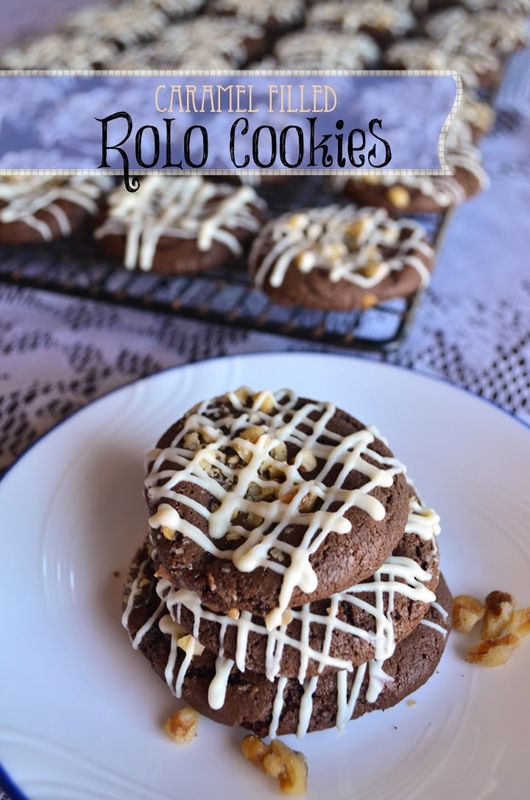 however these Rolo Cookies can be enjoyed any time of the year. For the melted white chocolate drizzle, I purchased Ghiradelli white chocolate melting wafers. I just poured some in a bowl and microwaved it until it had sufficiently melted. I tried using a spoon to drizzle, but the chocolate just fell off in blobs. So I turned to a zip lock bag. By snipping just the tiniest bit of corner and pouring the melted chocolate inside, I had a makeshift piping bag. Drizzling the white chocolate on the cookies was super fast and easy after that. I hope you enjoy these great cookies as much as I have! Chocolate cookies with a surprise caramel filling, drizzled with white chocolate. Place oven racks in upper middle and lower middle position and set oven to heat to 350 degrees. In a large mixing bowl, whisk the flour, baking soda and cocoa together. In a separate bowl, cream the sugars and butter together. Whisk in the eggs and vanilla until fully incorporated. Mix the flour/cocoa mixture into the wet ingredients to make the cookie dough. Roll a roughly 1 to 1 1/2 inch diameter ball of dough in your hand. Press one Rolo candy into the center until the edges of the dough are higher than the edge of the chocolate candy. Roll the dough again in your hand. It should completely surround the Rolo. The candy must be completely covered by the dough or the caramel will leak out while baking. Lightly touch the top of the dough ball into the chopped nuts. Place on a cookie sheet with the nut side up. Repeat with the remaining dough and candy until you have filled two cookie sheets. Place cookie sheets in the preheated oven and bake for 8 to 10 minutes, rotating front to back and upper to lower halfway through baking. Remove cookies to a cooling rack. When baking sheets are emptied, bake the next two batches. When the cookies are cool, drizzle with the melted chocolate using a spoon, or squeeze out of a ziplock bag with a tiny hole cut in the corner. Let the chocolate cool and set. Serve.